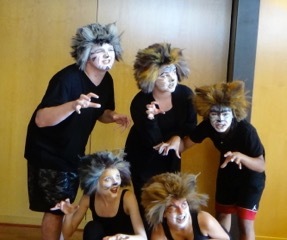 When it comes to theater camp, the Musical Theater Conservatory in Livingston sets the stage for the best opportunity for your child to discover their true talent. Whether you have a pint-sized prodigy or a child who simply loves to perform, the three-week performing arts program offered at the camp offers a full theater experience for kids ranging from age 7 through 18, with courses in voice, stage combat, television acting, and comedy and improvisation, just to name a few. At MTC, student’s dreams come true! 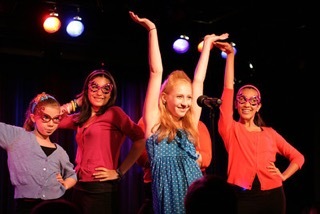 In just three weeks, they'll travel from classes to rehearsals culminating in a costumed, Broadway Cabaret! Everyone gets the best of both worlds, by rehearsing in NJ and performing in NYC! Students meet and study with Agents and Broadway/T.V. actors! They'll celebrate with a SPLASH at our POOL PARTY then cap things off with our grand finale: A one-of-a-kind showcase in NYC (Broadway district). Camp founders Randy Kravitz Elman and Mary Brienza are veterans in the industry, and have trained several successful stars before their big break including Natalie Portman, Jamie-Lynn Sigler, and MichaelPitt. Their confidence-building theater program has transformed budding stars into Broadway performers and instilled invaluable tools in kids who can use what they learn in the program in many areas of their lives. Workshops and guest artists work hand in hand with the students. Elman says during a recent summer program, the kids learned choreography from an actor pal starring in the play In The Heights. Kids leave the camp with skills that they can use in the future. A class on how to audition not only helps to prepare students for a professional audition, but also trains them how to best present themselves in an interview or when delivering a speech. Improv classes help develop quick thinking skills. “When I have a kid who is a little shy, and they come in they can’t project or a feel scared to sing and by the end of the summer they have all this confidence, it’s so rewarding for me,” she adds. And Elman has seen many success stories — including one of her former students, Broadway actor Brandon Uranowitz (pictured), who was nominated for a Tony last year for his role in An American in Paris. Last summer, actor James Freedson-Jackson attended MTC’s Broadway Boot Camp and recently appeared on two TV series — the Netflix hit Jessica Jones and NBC’s The Blacklist — and in the film Cop Car with Kevin Bacon. Broadway Boot Camp runs from July 3rd to July 22 with a final show in NYC on July 22nd It’s open to ages 7 through 18, and operates Monday to Friday 9:30 a.m. to 3:30 p.m. in Livingston, N.J.